In my late teens and early twenties, i had a variety of different vehicles, cars and motorbikes, all in some state of disrepair, aging, creaking machines, nursed along, sworn at sometimes, relied on to carry me and mine from place to place. On frosty mornings, or sometimes just plain old regular mornings, if they refused to spring into life, stubbornly draining the battery with each attempt to turn piston, crankshaft, valves to produce self sustaining combustion, then a familiar can would come out of the toolbox. East Start. Sweet smelling, blasted into the air intake, flowing through, mixing with the existing air and petrol, flowing into combustion chambers, prompting the spark from the plugs to explode the high octane mix, to create that rush of metal parts, flowing, turning, rotating in a symphony of internal combustion. Energy drinks are like that for me now. I ought to stop drinking them, but somehow my own internal biology has become reliant on them to get the cogs of my brain turning. And the reason for this mechanical analogy today, I have started reading an old, new book….Zen and the art of motorcycle maintenance. Quite profound and insightful. I am pretty sure I have an addictive gene. My sister and brother too. And I think it comes from my mums side. Like most character traits, it can be a positive and a negative. There are many good things I inherited from Mum. And from Dad. And many not so good things too. The result of this particular one is that I rarely do things by halves. I am focused. Intently so. Either extremely passionate about a thing, or almost oblivious. I came across this link via a local bikers forum. The full title of the video is “TT 2012: A Dangerous Addiction” and introduces you to the bikers who race at the TT, why it hasnt been banned in this overly safety conscious country and some of the challenges they and their loved ones face. Well worth spending three quarters of an hour watching. I can understand what motivates them, though I also know they are in a different class altogether. At 17, in the deepest darkest Cornwall, social responsibility didn’t really enter my silly little head. Having written and sold my first computer program, I dropped out of college in favour of work in an electrical shop, money, mates and motorbikes. There may have been a girl involved too. 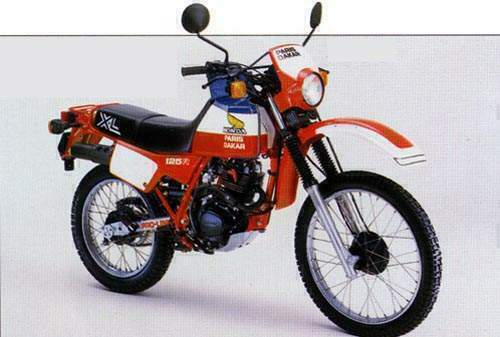 A mate loaned me his Honda XL 125 for a while as he was working away in London. I chipped away at learning to ride it in the local car park. Trying to figure out why the front wheel always ended up in the air when I pulled away. I soon learnt how to be a little more gentle with the throttle. Then my boss loaned me a 250 Superdream. He didn’t think to ask if I had a licence. I didn’t give it a great deal of thought either. It was a bit bulky for my gangly young form and was a sluggish beast two up with my girlfriend riding pillion. But it did the job and took us all over exploring. I was in love, in the ways only your first love could ever be. With her and with riding bikes. 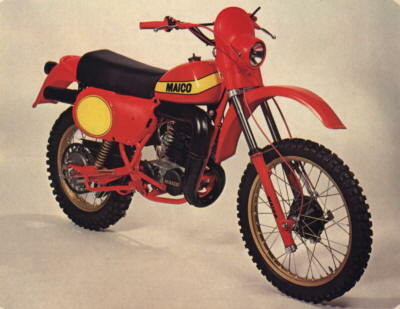 The death knell to the Superdream was my elder brother and his Maico 440 motorcrosser. He used it to get around despite having no number plate and no lights. And by god it was loud. Like wake up the entire street loud! One late night, he needed to take it to a mates garage, of course I used the Superdream to illuminate the way. The locals complained about the noise and the finger of accusation went to my boss. And was redirected to me. That was the end of the Superdream. I was lost without my only means of getting around. And the public transport consisted of a bus that passed through before 9am and again around 5pm. My brother got himself a 12v torch, taped to his front mudguard to light his way. Short of cash, I bought a Yamaha. 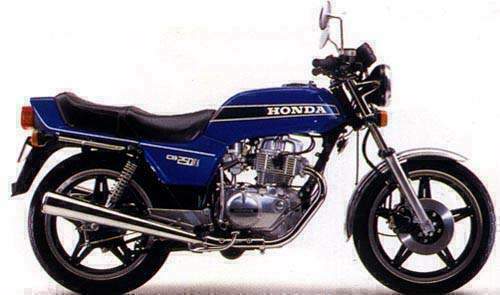 An RD 200. This was just before the era of liquid cooled power valves. 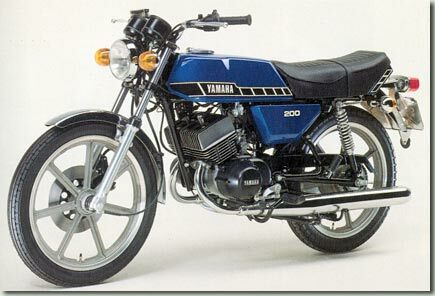 The Yam was an air cooled two stroke twin, it came as a bare frame and all the rest of the bits in a packing crate. I had very little mechanical skills, though fortunately a mate offered to build it for me. Result! It took about a month though and I was gagging to be back on the road. When the day finally came to take it on its virgin voyage, I couldn’t keep the front wheel down on the ground. Or the wonky grin off my face. It still wasn’t really ready for the road though. I listened attentively to the advice of not riding it on the road until we had a few more bits. And then promptly ignored them. The lack of baffles meant the straight through twin exhausts were a touch loud. The noise was usually accompanied with more stupid grinning. My first accident was on that bike. Surprisingly, it wasn’t entirely my fault. Other than the fact that it wasn’t ready to ride, the throttle stuck, while I was “testing it” on gravel. No kill switch or ignition and only a front break to halt my uncontrolled blast. It reached a point where my choice was to continue and end up going down the rapidly approaching slipway for a dip in the sea or squeeze the front brake lever and hope for the best. Both feet down, sliding, nope that didn’t help any, as I abruptly skidded and the bike flipped down onto it’s side. It was ok though. No major damage. I on the other hand, had a massive rip in my jeans and spent much of the rest of the day picking bits of gravel out of my knee. A few of the locals weren’t happy either, so I did eventually see sense and ordered some baffles from a breakers yard, along with the parts needed to complete the rear brake assembly and a new ignition switch. My second accident was all my fault. A late night, and a blast along country lanes to “clear my head”. I laid it down again. Gravel in the road and my ambitions to crank it over through a corner were more than the tyres could cope with. Ho hum. More time spent picking gravel out of my hand and knee. So was I socially responsible? Well. I did respond to the complaints about the noise and quietened it down some. And I was courteous about it. I had learnt that much from my parents. Riding though, having a blast through corners, was something that got under my skin much more than any road rash did. It became a part of me. Even in those years spent raising kids of my own, that need for speed never really went away. I did become more responsible and also more aware of my own mortality. And I am very thankful that my own sons have more sense than I displayed in my teens. My bike isnt the fastest. Nor is it the slowest. My original thinking was to buy it before my riding test. Something to tinker with and with it sat there staring forlornly at me, it would spur me on to get through all of the test elements. And it did exactly that. The day I bought it, my wife spotted it on eBay. It was just around the corner and the end of winter was almost upon us. We arranged to go see it after work, which meant at night. Not the ideal time to be looking over a new steed. We turned up and I left the car lights shining over it. I grabbed a 12v torch from the boot too. A quick knock on the door and the young lad selling it appeared, maybe 19, with a bit of a stutter, scruffy looking. My wife said he reminded her of me when she met me. Hmmmmpf! Looking it over, it seemed ok, but he kept on switching it off, despite me telling him to leave her running. Seemed a little suspicious, but then, when your Dad spent a little time as a used car salesman, you tend to look on the dodgier side of things. I couldn’t take her for a run – no licence or insurance. In days of olde, that wouldn’t have bothered me, but I didn’t want to loose my bike licence before I’d started. So I put my life in his hands for a quick blast as pillion. He ragged it. Really ragged it. But the bike seemed to like that treatment and responded accordingly. A little bit of haggling followed, pound notes were exchanged and I was the proud owner of a new bike. There were a few odds and sods to sort out, but that was why I had haggled him down. And it did the job. CBT, theory test, MOD1 and MOD2 followed in quick succession. At first, I was surprised by the power of the beast, my arms ached and doing 70mph felt like the wind was trying to rip your chest and head off. I wasnt so much steering the bike, as holding on for dear life. 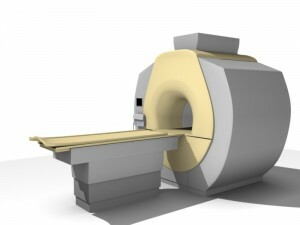 Months have passed and the power seems a little tame now, so the future holds a new machine. Today though, is MOT day. The dreaded day when a certified mechanic gives it a thorough going over to decide whether it is fit for the road. Unfortunately, it isn’t! The rear tyre is an advisory, I knew that, it has a few miles left though and the tread around the edges is fine, plenty for those twisty corners. I’ll replace it in good time, probably the front too as a matching pair is usually better. The front brake is sticking slightly though. So on that point, it failed. A short negotiation later and I agreed with the mechanic for him to strip the cylinder down, clean and free it up, replace the pads and put fresh fluid in. Quoted price – £30 + £18 for the pads. And a free retest which it will pass as he will have done the work. And my front brake, which is used much more than the rear, will be working at peak levels. Seems reasonable to me. A new tyre will follow soon, I will coax it through the coming winter with the aim of selling it sometime in Feb or March and upgrading to something bigger and faster. In the meantime, the snow and ice will becoming. Maybe it’s better to have less power through that time. Yesterday was an office day. Big things happening and I had a meeting to attend and present at. I had planned to be out of the house by 7am, as I like to be early. Unfortunately, the medication I am taking has other ideas as one side effect is making me fall asleep, the alarm must have been snoozed many times before I dragged myself, bleary eyed, out of bed. Several cups of tea later, I considered using the car, but that seemed a backward step, so I uncovered the bike, removed the chains and cranked her up, letting her warm for a little while as I sorted my boots, bike trousers, jacket and helmet out. One disadvantage of using the bike is the amount of prep time it involves. Unlike the car where you can just jump in and be off, there are a few tasks I perform before setting off on the bike. It has become like a ritual to me. Even to the point of stopping outside the front, adjusting the mirrors, then finally popping the lights on and slipping first my right glove, then my left, before setting off. Clearly the order is of crucial importance. We are approaching winter, so disadvantage number two, the cold. I don’t mind it so much, at least, I dont mind it while we still have temperatures above freezing. The ride out cleared some cobwebs, my journey is mostly urban dual carriageway with 50 mph limits, though I generally ride a little faster, and lots of roundabouts and traffic lights. Two thirds of the way, I took a slip road and started using the gears more, through various twisties, roundabouts, and much more fun overtaking. Car drivers are generally curteous and ease over slightly to let you pass. And no articulated lorries with open back doors to contend with. Bonus! The day was a busy one, we had greeters at every building, goodie bags and various events. It was great catching up with a number of colleagues too. All these things are absent from your day when you work from home. The presentation went well and late afternoon as I was finishing stuff off in preparation for going home, a colleague asked if I could help out and explain a few techie things with some of what seems to be my trademark….diagrams! We found a room, and a few additional colleagues who wanted the same info, and I went through my spiel, coloured pens in hand, with my scribbles on a flipchart. All sorted, sunset was drawing close, it was later than expected. I packed up and headed out. The return trip was back through the twisties as darkness descended. That had my juices flowing, as I rejoined the dual carriageway the volume of traffic had picked up and I was already in the swift mindset. Each junction and roundabout became a series of rapid downshifts, filtering through the traffic towards the front of the queue, slip into neutral, bike grumbling as I sat at the front slightly forward of where traffic stops and racing starts as lights changed to clear out of the way of the car drivers. A satisfying way to finish to the working day. It was only as I stripped of my bike gear that I realised how damned cold it was. The urge is strong this morning. Two, mutually exclusive urges. I feel like smoking. Smokers know what I mean. The sort of thing where you strike up and inhale each time like it was your last. And I feel like firing up the bike and going for a blast. Not a potter around town. 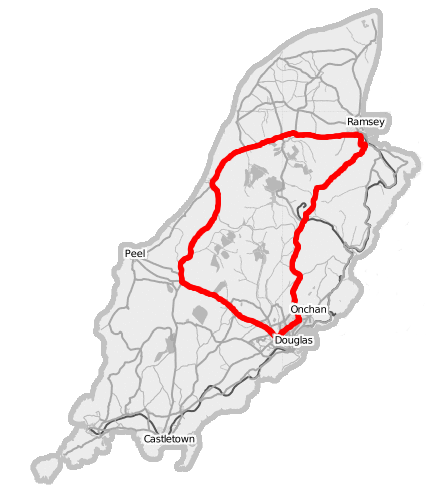 The type of ride where you take the bike through the twisties at the limits, the limits of the bike, with pegs scraping, and the limits of your ability. This weekend though, I’m going to be doing neither. I dont remember the last time taking some time off work. In fact, we are in the second half of the year and I have four weeks of untaken leave. I had been saving them for the transplant operation, but that isnt happening. So last night, I set my out of office notice, shutdown the laptop and started my long weekend. We are shooting off later today (in the tin can, not on the bike) for a weekend away. We both need and deserve it. My wife is tired, work has been tough on her too these past few months. First though. I have an appointment with my doc and then a trip to hospital to see the consultant. Then we are out of here. My head has been a bit all over the place these last few days. I took a call from the Living Donor team. They had assessed my MRI scan results since my recent hospitalisation and concluded that they’re not willing to proceed with the transplant. So having passed all the tests, a tiny blood vessel in my neck burst, restricting blood flow to my head, dramatically increasing the risk of a stroke or worse if I am placed under general anaesthetic. It would be pushing things too far. In some ways, I knew this was a possibility. In other’s, I had denied that this would be the outcome. I was hedging and hoping, the power of positive thinking, to get the right outcome. Sadly that wasn’t the result. I didn’t tell my sister straight away. I needed an evening to wrap my head around it. She is in shock I think right now. She had already missed her dialysis prep appointments, I think she was trying to avoid that particular reality as we were both focusing on the transplant. Now she really does need to focus on the dialysis. When I was last there, we took a walk, her boyfriend and I got ahead of everyone, he said that if the donor centre found that I wasn’t a match, then he would put himself forward. Time to step up laddie. Mum was in shock too I think. I had played down my illness a little as I didn’t want to worry anyone. She was at my sister’s and wasn’t seeing it first hand. Dad was supportive and on his way home from his big summer trip. I took the bike out yesterday. I needed it. Really needed it. Probably gave it a bit more than I would normally. Pushing it closer to the edge. Sometimes, you just have to get these things out of your system. Riding a motorbike is many things. Dangerous. Exposed. But also somehow it frees you. It is just you, the bike and the elements. Everyone and everywhere there are constant threats. And yet, it is compelling to step down a gear and pop the throttle open and skim past the traffic, easing between them and the oncoming traffic. 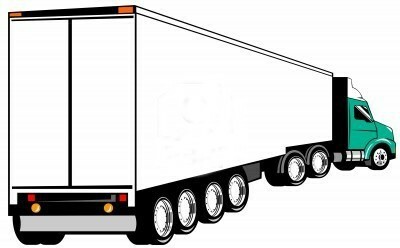 I came upon an artic – articulated lorry – on the approach to a roundabout. Easing off, I skimmed the roundabout and prepared to slip by on the outside. Just before I wound open the throttle, I noticed movement of the rear door. I backed off a touch and it swung in a slow pendulum to pretty much where my head would have been if I hadn’t spotted it opening. I hung back, it swung wide open, then bounced on it’s hinges and began a slow journey back to where it belonged as the driver straightened up out of the roundabout. I dropped a gear and swung past, gesticulating with my left hand as I went past the cab of the truck. I think the driver was still oblivious. He probably thought I was just (another?) belligerent biker. Sometimes, I need these things. Not the swinging artic door close to my head. But the feeling of being on the edge, of being alive. Maybe that’s the pull of riding.